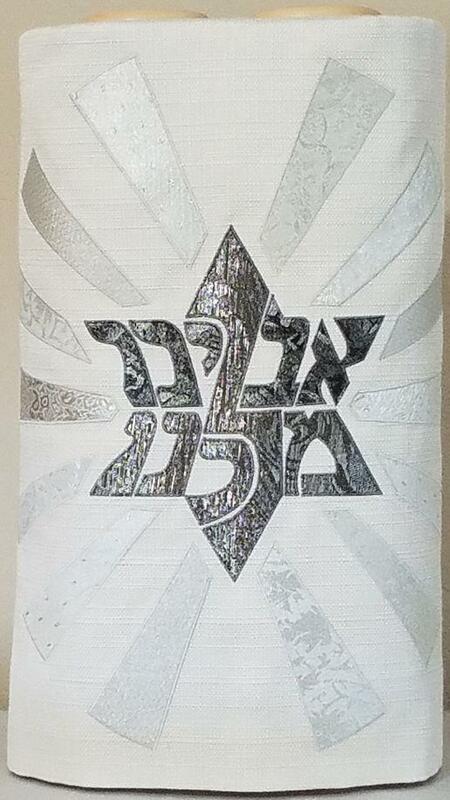 As the High Holidays approach, we find ourselves turning inward and reflecting on the higher ideals of our lives. 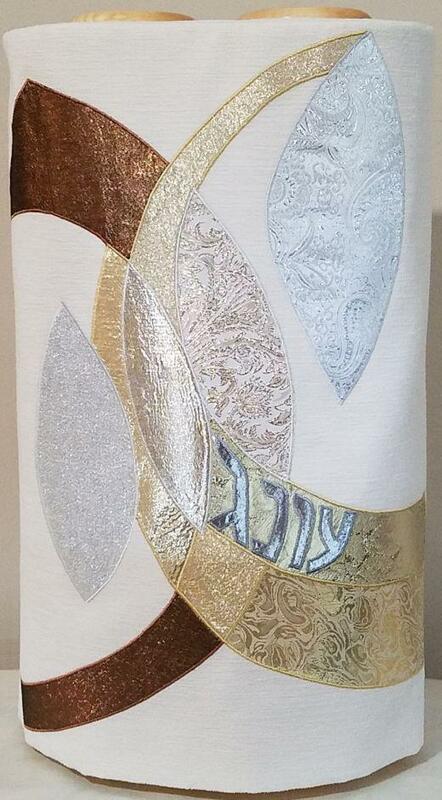 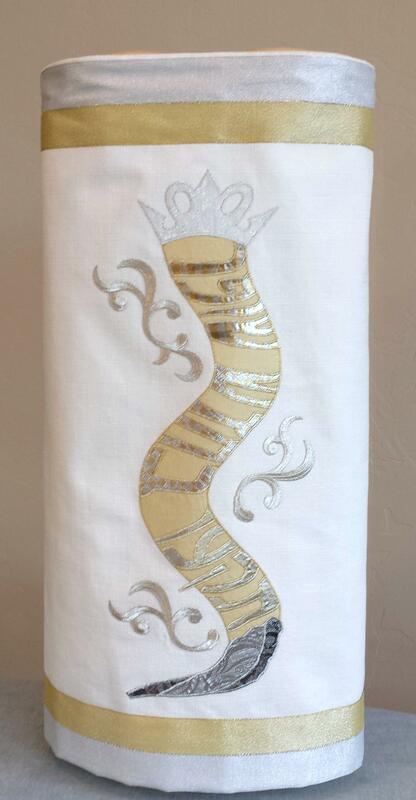 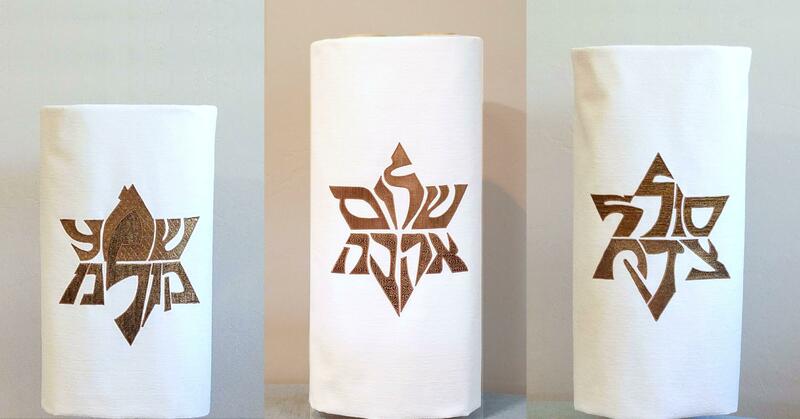 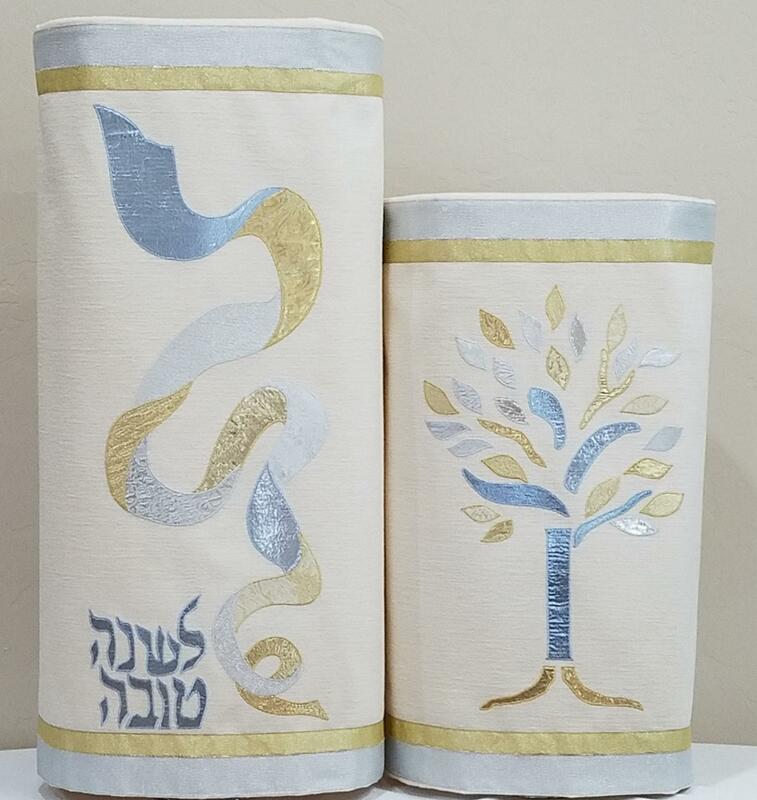 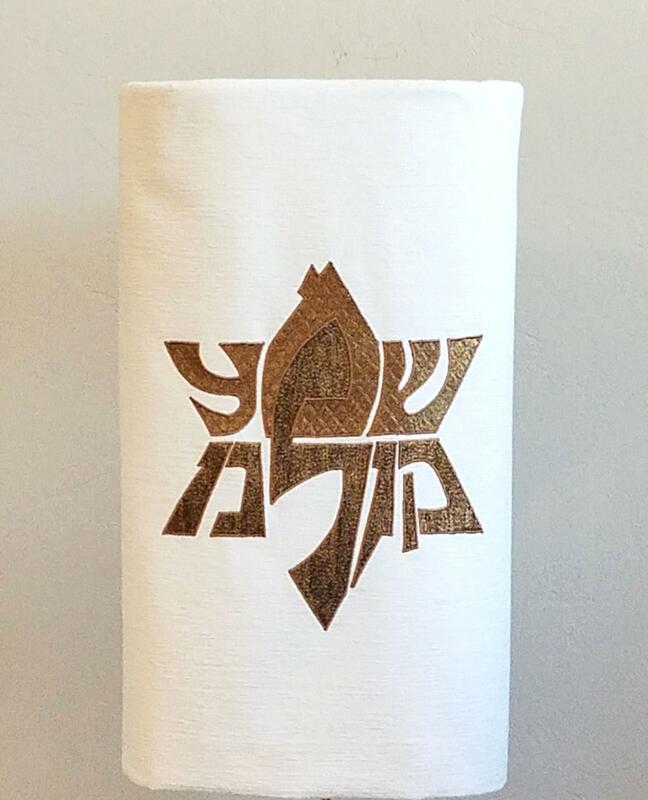 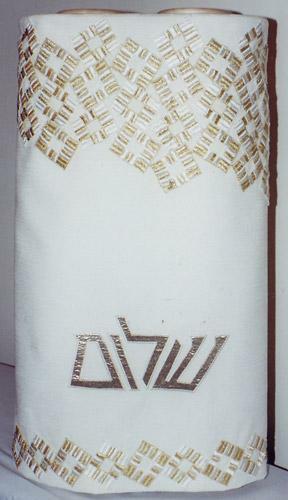 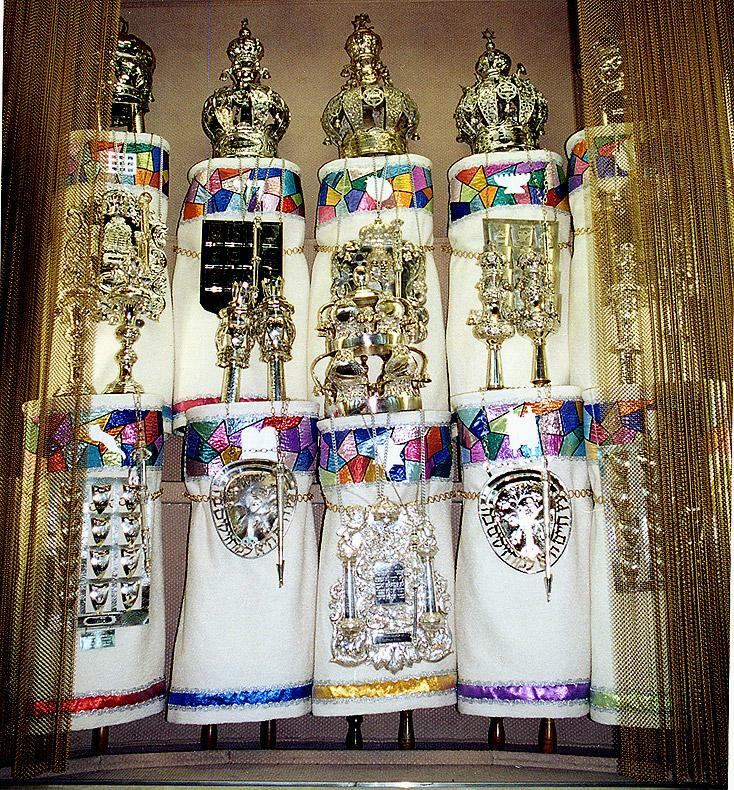 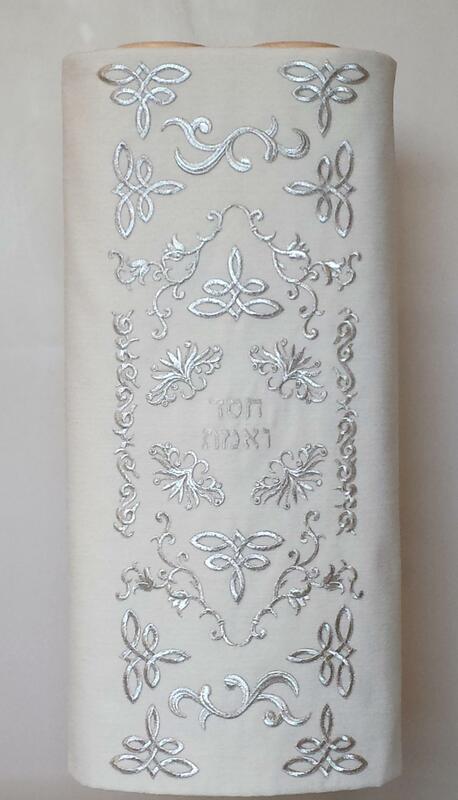 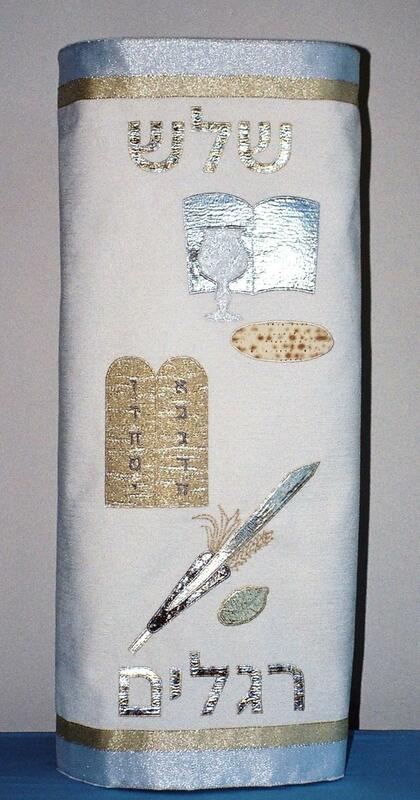 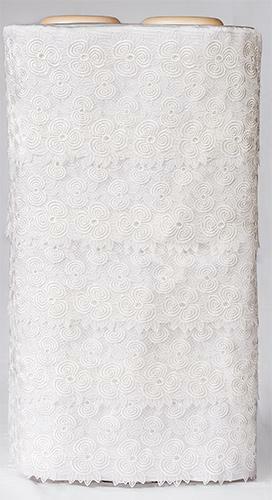 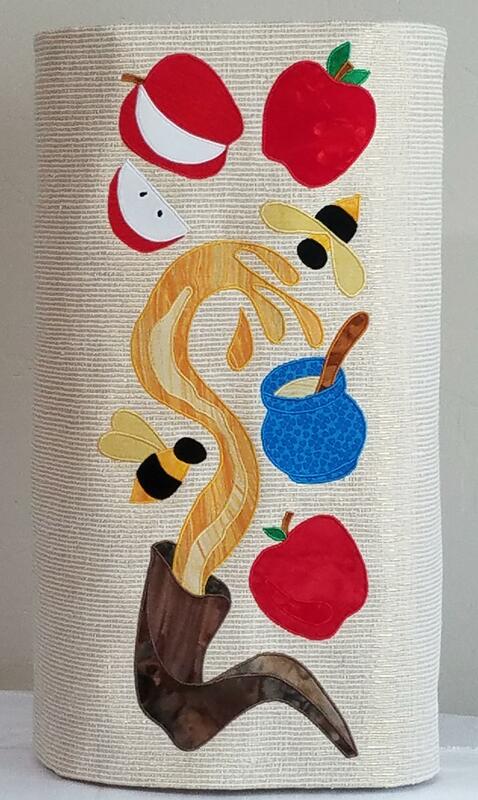 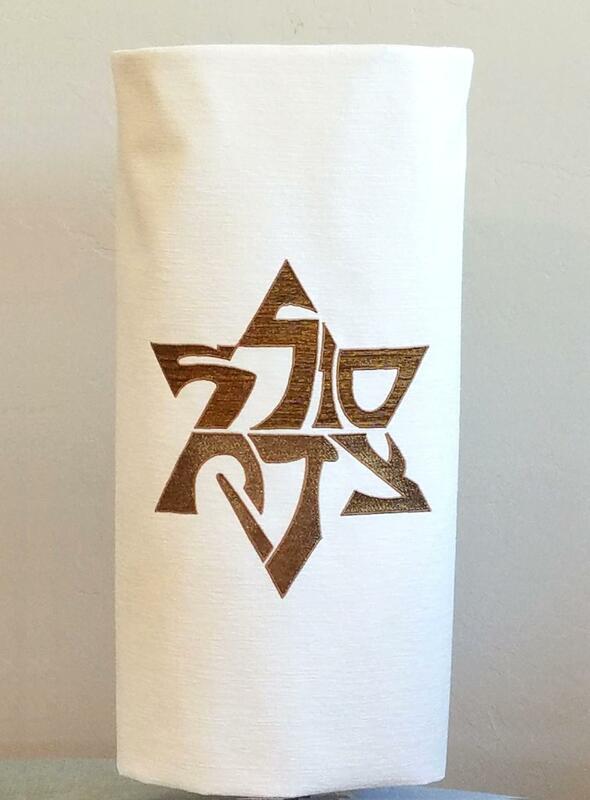 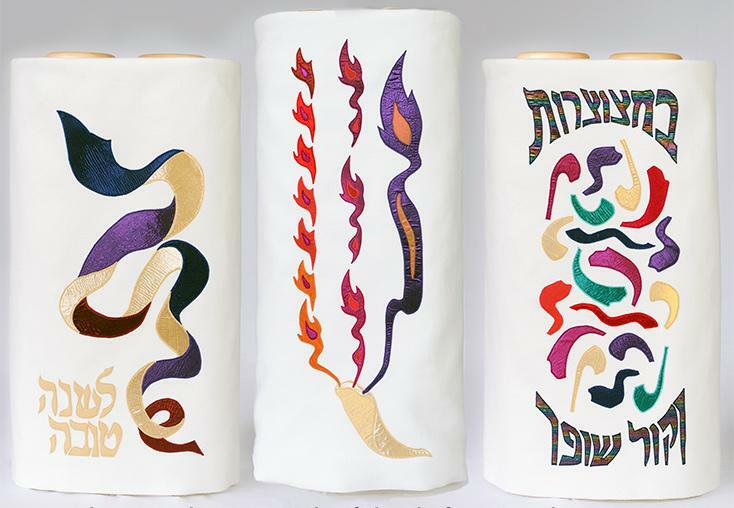 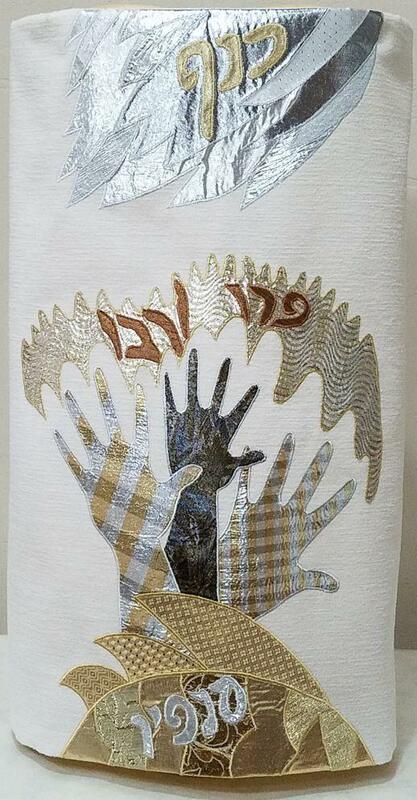 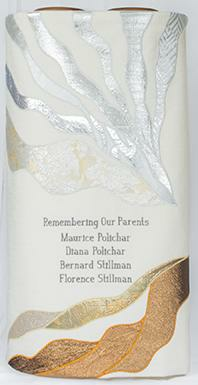 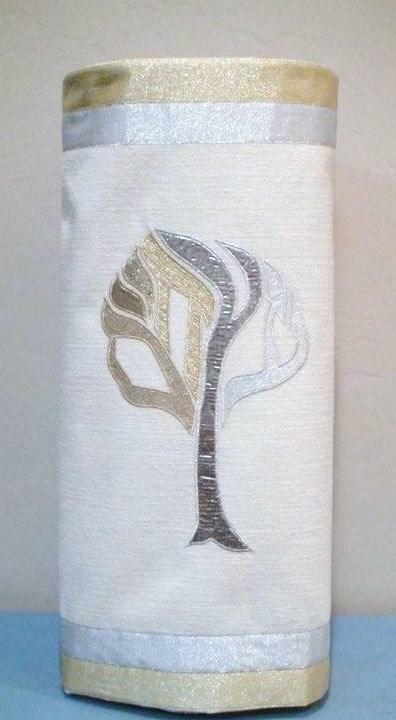 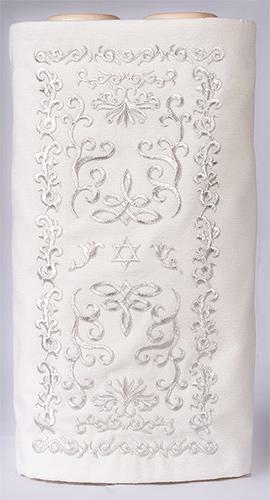 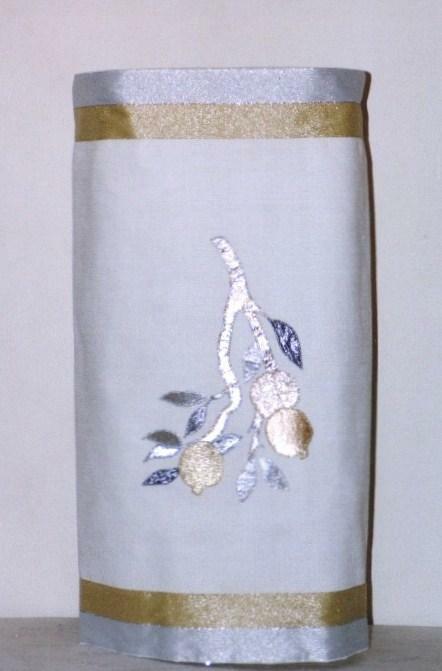 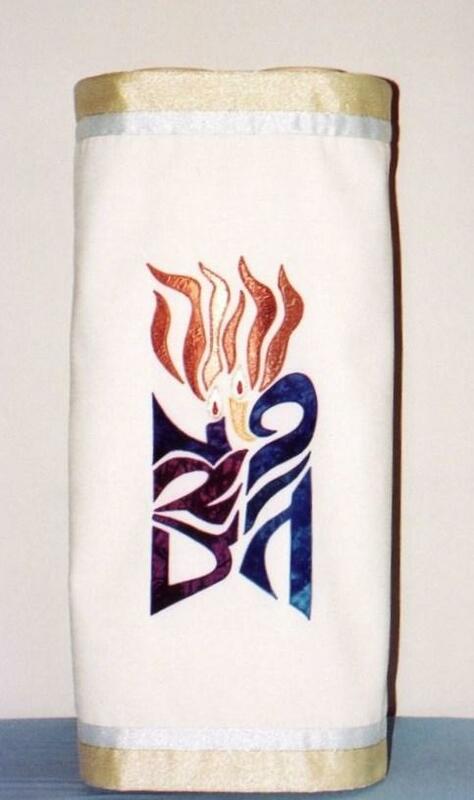 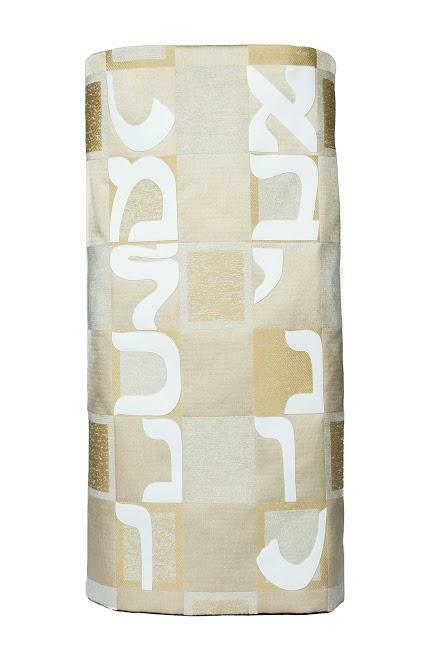 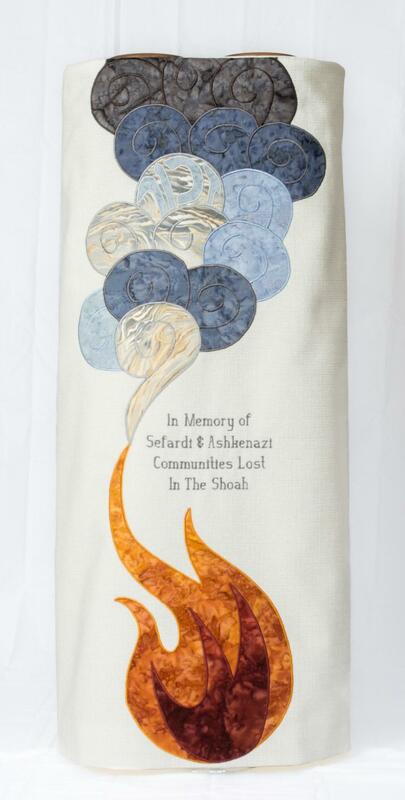 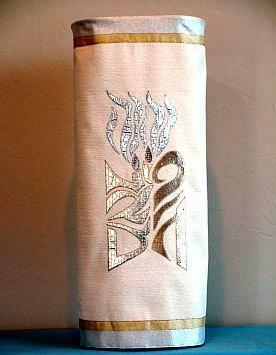 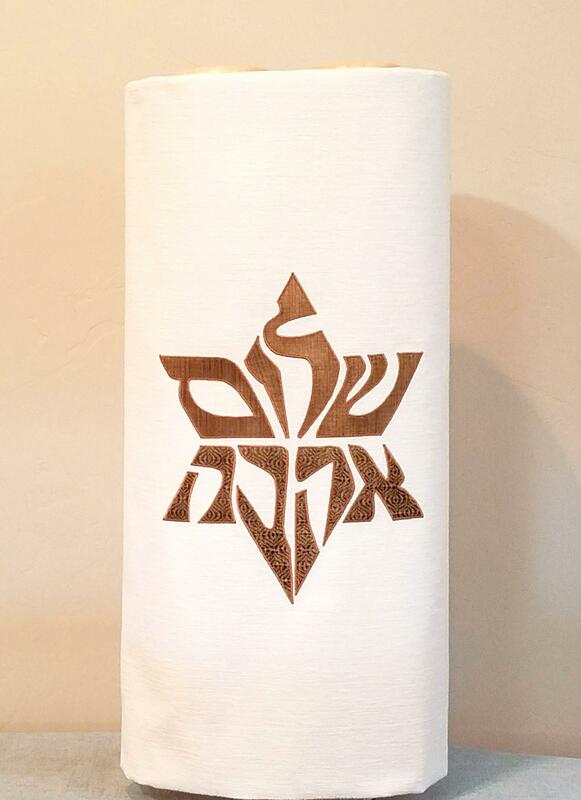 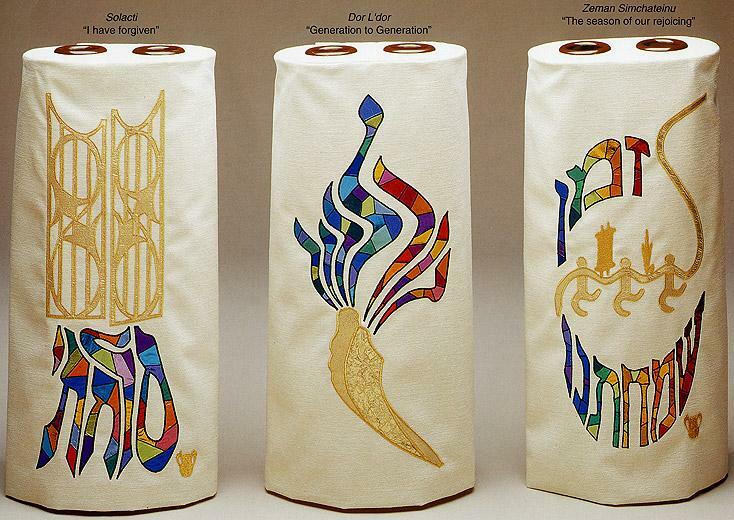 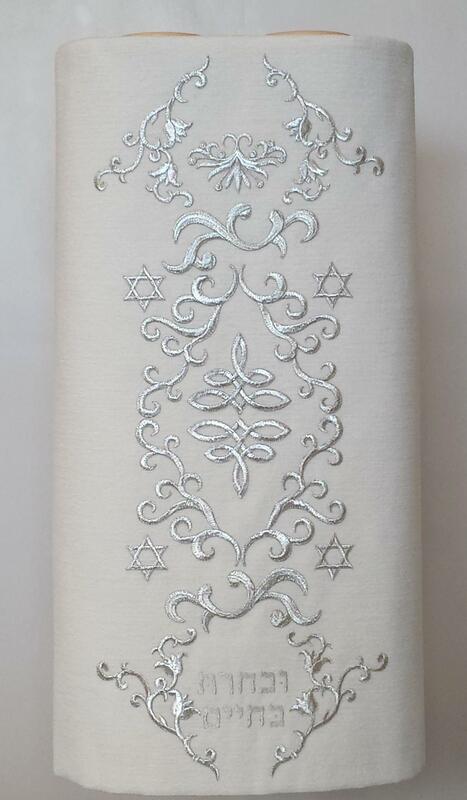 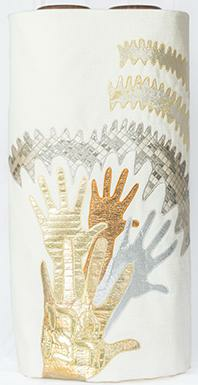 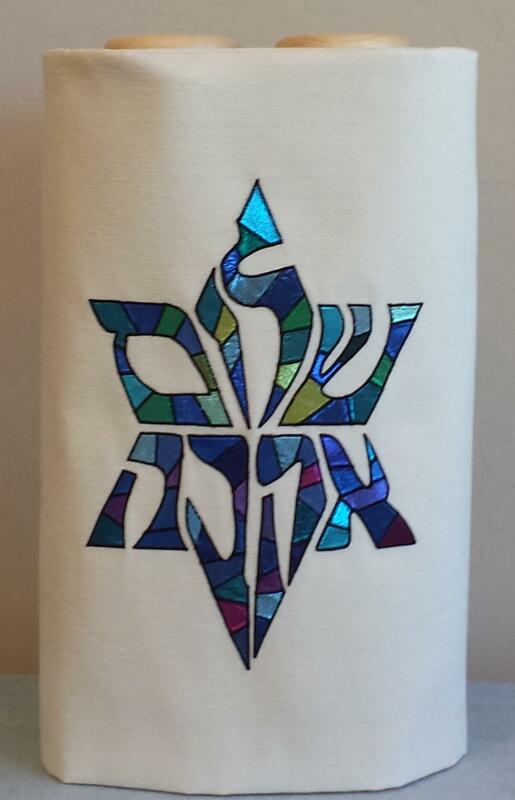 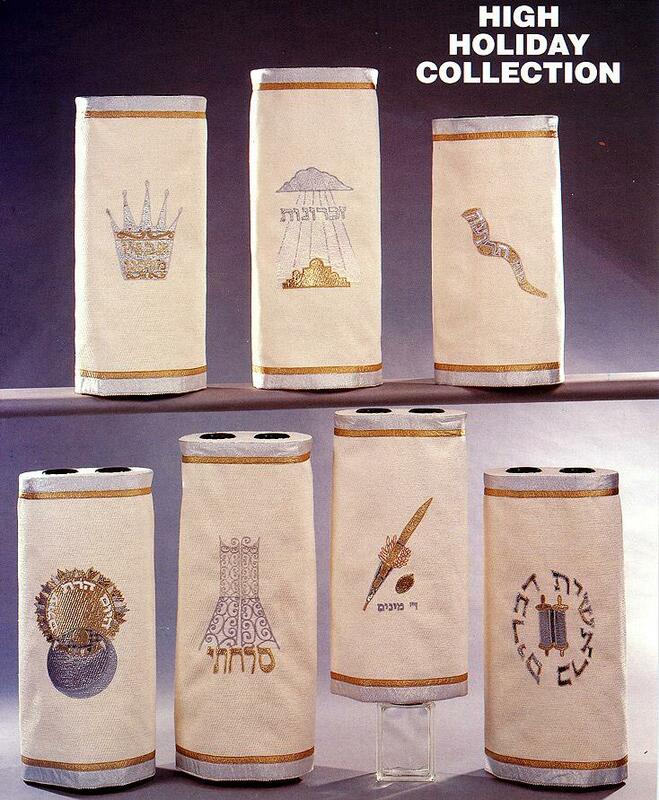 High Holiday torah covers often reflect that same intention of purification and renewed innocence by being designed as mostly white or ivory covers, with appliqued silver and gold elements. 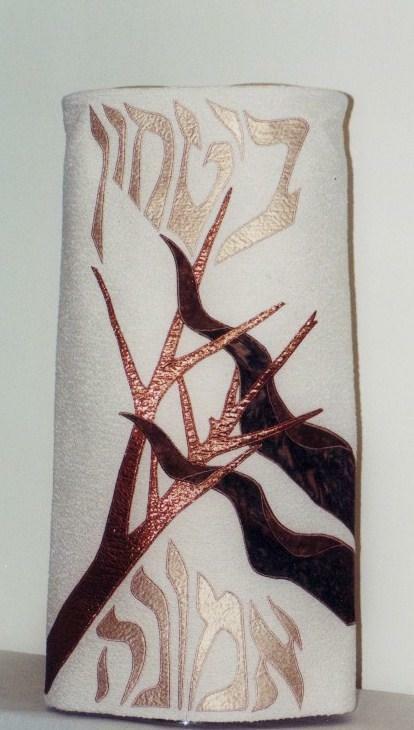 Sometimes jewel-toned designs are used on the white backgrounds. 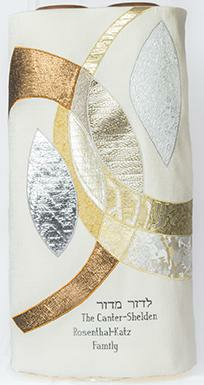 This creates creates a magnificent play of light, and makes a wonderful addition to the awesomeness of the holidays. 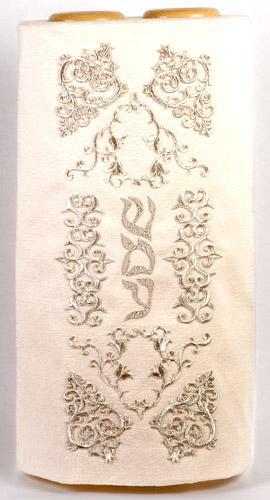 The designs are specifically related to the prayers and messages of the season. 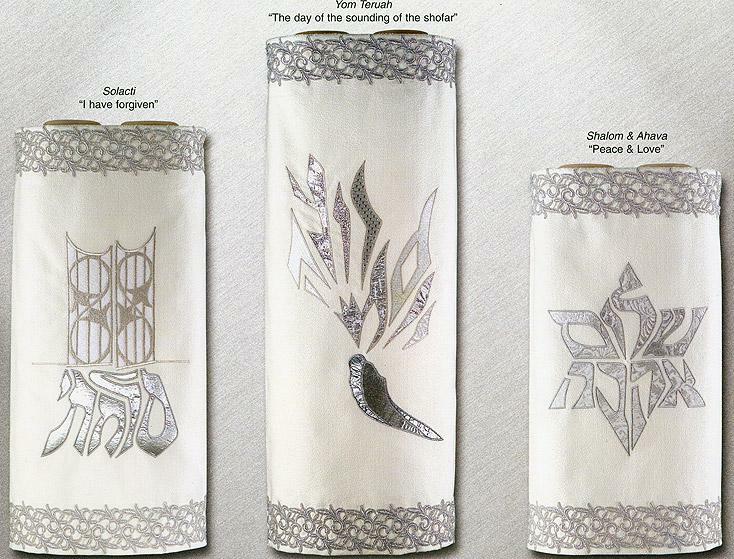 Some past design themes have included a variety of shofars, as well as depictions of specific holiday prayers. 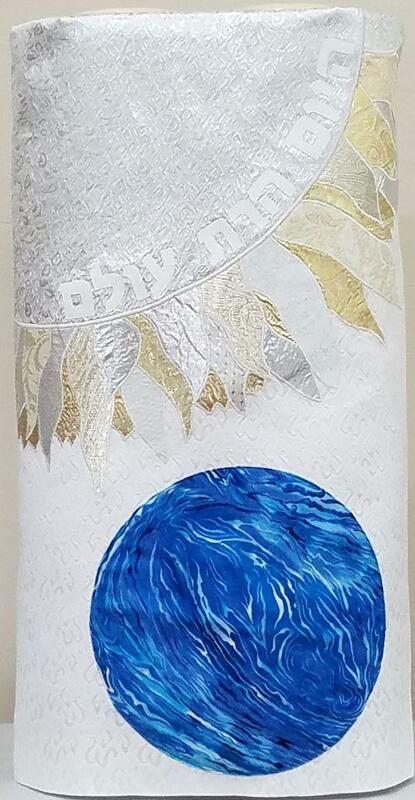 "Creation Days 1 & 2"
"Creation Days 5 & 6"
"Behold It Was Very Good"
"The Binding of Isaac" "Faith & Trust"
High Holiday Trio: "Solacti", "Yom Teruah", "Shalom Ahava"